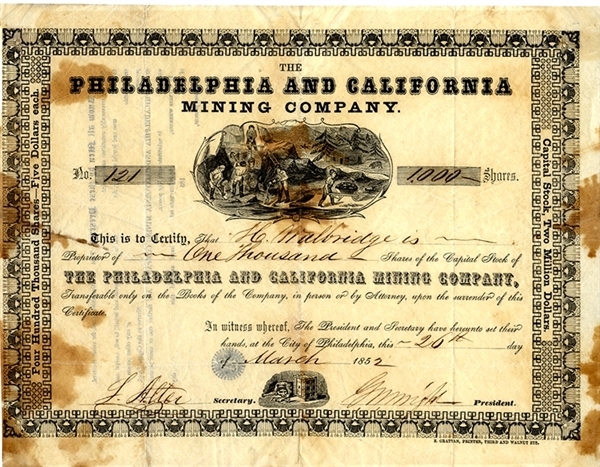 Stock certificate “The Philadelphia and California Mining Company” 1pp. oblong quarto, March 26, 1852, with nice mining scene vignette. Very good condition.